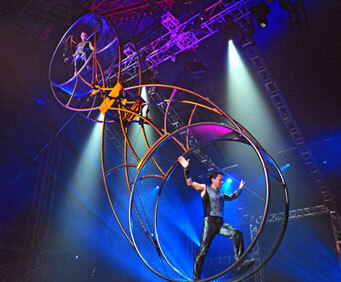 Unbelievable acrobatics and death-defying feats keep you on the edge of your seat throughout Le Grand Cirque show. Like no other show in Branson, this is an outrageous performance of life-risking danger. You'll be almost afraid to look as two master stuntmen hurl themselves around the 'Wheel of Death.' 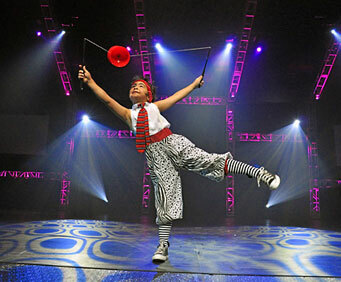 Mimes, aerialists, acrobats, contortionists...there's a lot of action packed into this show. 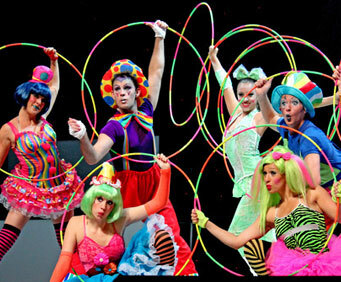 And some comedic relief provided by some fun-loving clowns. The thrilling extreme stunts, like two motorcycles riding a globe at speeds up to 60 mph, have stunned audiences in 15 countries, and you can see them in Branson!